Andrea Brassard MA, CCC, RYT, with an MA in Creative Arts Therapies is also a Certified Yoga Instructor, Counsellor, Psychotherapist, and a Professional Beyond Addiction Trainer. Andrea has worked in a variety of settings and heads the protocol advisory team for Beyond Addiction therapists. 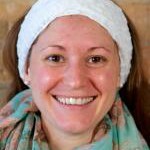 Andrea believes in healing and the power of Yoga and insight to develop into one’s best Self.